17 October is the date selected by the United Nations for the International Day for the Eradication of Poverty. The day dates back to 1987, when more than a hundred thousand people gathered in Trocadéro in Paris (where the Universal Declaration of Human Rights was signed in 1948), to honour and acknowledge the millions of people around the world who are victims of extreme poverty. At this event, extreme poverty (currently defined as living on less than US$1.25 per day) was proclaimed a basic violation of human rights, and the urgent need to combat this violation was reaffirmed. Through the establishment of the International Day for the Eradication of Poverty, the UN formalised the commitments of the 1987 gathering, urging governmental and civil organisations to take action in addressing the problems of extreme poverty. 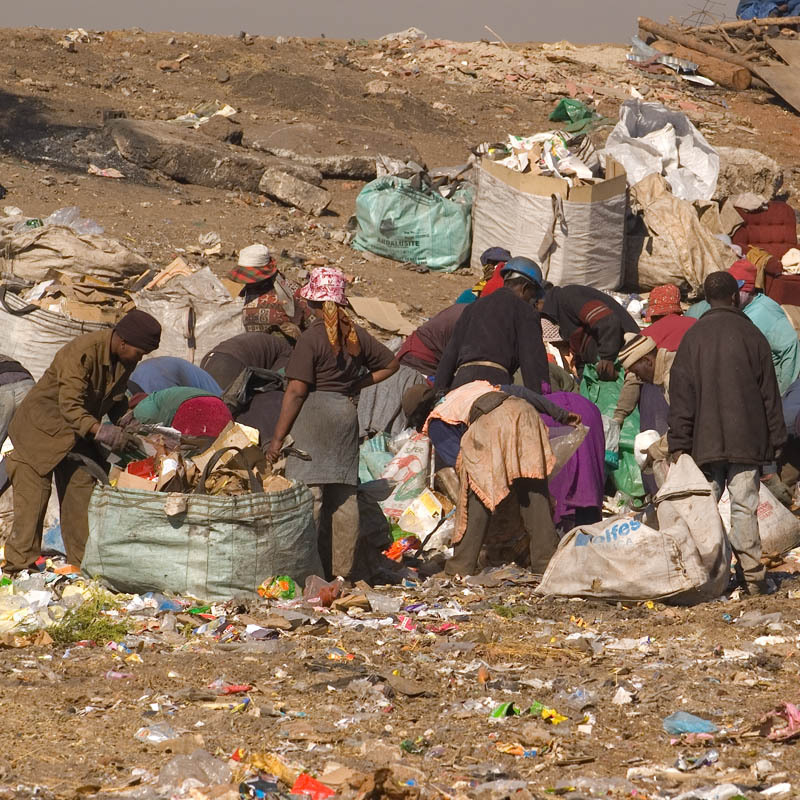 People living in extreme poverty are forced into desperate living conditions. Think about it for a minute – US$1.25 a day. Or US$37.50 a month… Convert that to your local currency, and imagine that being the grand total amount of money you have to live on. Not just for basic needs such as food, shelter, clothing, heat and sanitation, but for all your living expenses including medical care, education and transport. That is not poverty – it is extreme poverty. The number is incomprehensibly small. And now think about this: 920 million people. That is the amount of people that will still live under the international poverty line of $1.25 per day in 2015 in the best case scenario if the Millennium Development Goals (MDGs) set by the United Nations is reached. In 1990 that number was almost 2 billion, and the stretching target set by the UN MDGs is to halve the 1990 extreme poverty rate by 2015. At the moment, there’s still significantly more than 1 billion people living in extreme poverty. The number is incomprehensibly large. And despite a general positive trend in the eradication of poverty, there are some severe setbacks that can derail the progress towards reaching the above goals. In 2010 alone, for example, it is estimated that the global economic crisis pushed an additional 64 million people into extreme poverty. The UN Fact Sheet on poverty eradication details some very positive programmes that have worked well in different regions of the world – subsidy programmes in Malawi and Ghana, investments in agricultural research in Vietnam, innovative finance schemes in Nigeria and Bangladesh, employment programmes in Argentina. In addition to these, the UN is currently coordinating many additional initiatives across the world focused on agriculture, rural employment, food provision, local cooperatives and more. 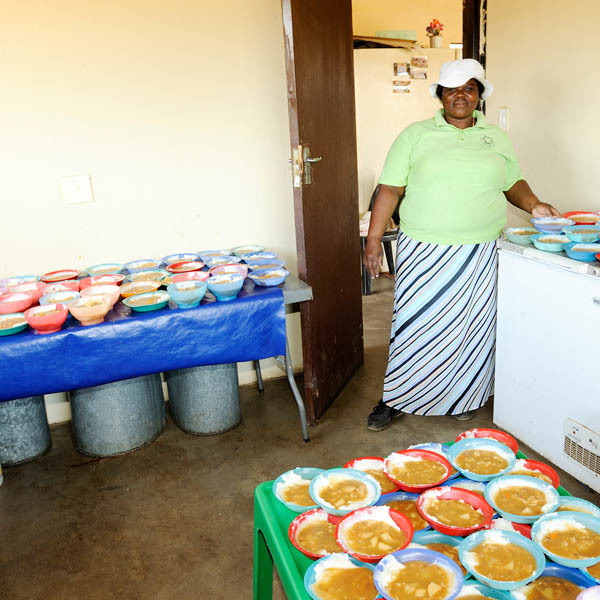 Community feeding schemes helping those living in extreme poverty, need all the support they can get. While the global eradication of poverty feels like one of those vague, hazy ideals that we fully agree is important, but really have no idea what to do about as individuals, there are things we can do. Simply sharing the message and creating awareness among your peers of the various initiatives that are currently running to address the problem, can already help. The UN “End Poverty 2015 – we are the generation that can end poverty” awareness campaign makes it easy to identify and share specific messages related to the challenges that remain in the fight against poverty. Go on – go to “#endpoverty”, find those initiatives that are close to your heart, educate yourself about them and start sharing with a simple click of a button. Knowledge is power, and sharing that knowledge is half the battle won. We really don’t understand what true poverty is, do we? Most first worlders couldn’t survive on $37.50 a day, never mind a month. Reblogged this on United Nations Delegate. My daughters have once or twice mentioned how they wish we were “rich”. I tell them that, relative to MANY people, we are insanely rich. I don’t think they understand yet. Shoot, like metan said, I’m sure I don’t understand either. It’s staggering, the chasm between the rich and poor of the world. It is already well known that the $1.25 a day measurement does not reflect poverty in all countries, developed or developing. Please elaborate? Does the $1.25 only apply to some countries? I meant that it is a limited concept of measuring poverty. the MPHI could be a better indicator though not holistic.